The dreamy beaches of Zanzibar have enchanted visitors for decades. Of course you can laze on them and sip fruity drinks all day long, but there are tons of other things to do in Zanzibar besides just that. Here are 10 ideas that will get you off the beach and into the thick of Zanzibar’s cultural, natural and historical heritage. Located just off the coast near Stone Town, Prison Island (local name: Changuu Island) was once a prison and quarantine station during the days of the slave trade. Now it’s home to a colony of giant Aldabran Tortoises, some of which are more than 100 years old. You can also snorkel here on the fantastic coral reef, or wander through the forested interior admiring the birds and wildlife. These waterside public gardens are where you’ll end up at some point during a visit to Stone Town. The grassy, palm-lined area comes to life at dusk when dozens of vendors set up camp and start cooking all manner of incredible and tasty treats. From seafood to brochettes, to Zanzibari pizza (chapatti with traditional toppings), the gardens are a great way to experience a taste of Swahili culture on the island. Zanzibar’s setting makes it ideal for scuba diving. It’s got an abundance of reefs, sea life and warm water all year round. There are numerous dive sites located off nearly every shore, and plenty of outfitters to take you on an underwater adventure. Expect to pay about US$50 for a single dive if you’re already certified, or $75 for a double dive package. If you’re not certified yet, four-day open water PADI courses run about $400. 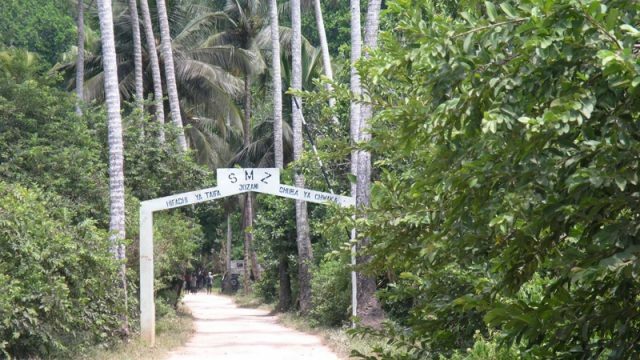 Located 12 km (about 8 miles) south of Stone Town, the uninhabited island of Chumbe is an excellent place to get out of town and into the ocean. For 20 years the park has operated as a private, nonprofit eco-reserve, home to hundreds of fish and a healthy coral reef. It’s great for an afternoon of snorkeling, or you can opt to stay overnight in eco-bungalows on the island. At this aquarium in Nungwi you can see over 500 types of sea creature including sea turtles, hammerheads and tropical fish. Proceeds from admission fees are reinvested in sea turtle protection programs. The inescapable image of a dhow bobbing on the horizon is synonymous with Zanzibar. But you don’t have to just look, you can actually take a dhow tour. For an incredible experience we recommend grabbing a few friends and chartering one to take you out on the water at sunset. Don’t forget to bring cocktails. Just north of the now closed House of Wonders in Stone Town lies the Palace Museum, which served as the residence of the sultan until 1964, when he was deposed and Zanzibar affiliated with Tanzania. The palace is now a museum dedicated to the history of the sultanate and island life before the union. On the grounds outside is the Mkausurani graveyard, which is the final resting place of some of the former rulers. As expected, all manner of water activities (or at least many) are very popular in Zanzibar. We’ve already established that diving, snorkeling, and dhow tours are a way of life here, but you can also kayak, kitesurf, and parasail at various resorts and centers. Drinking and napping on the beach are, sadly, not considered water activities. 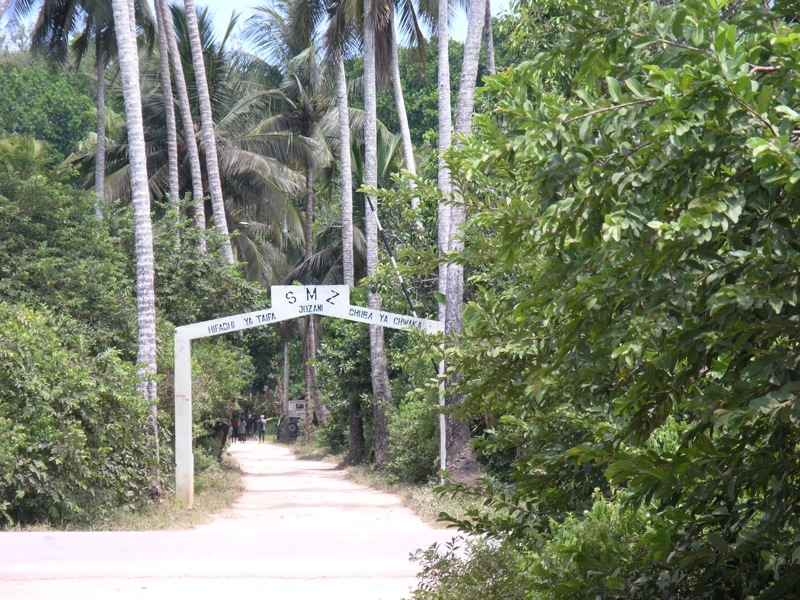 One of the surviving remnants of Zanzibar’s grand history is the plantations and ruins in the center of the main island. During the reign of the sultans, Zanzibar was an economic powerhouse and merchants would trade spices by the barrel, giving Zanzibar the nickname “the Spice Island.” Guides can take you to the plantations where you can sample local fruits and spices like nutmeg, clove, pepper, vanilla, and coriander. It’s a great way to see, smell, and taste history. This article was originally published November 20, 2014.